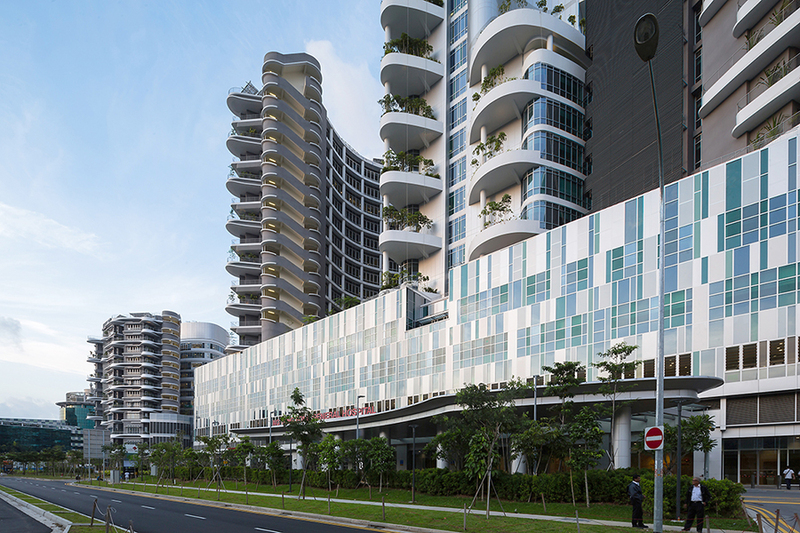 Ng Teng Fong General Hospital by HOK International (Asia/Pacific) Ltd. 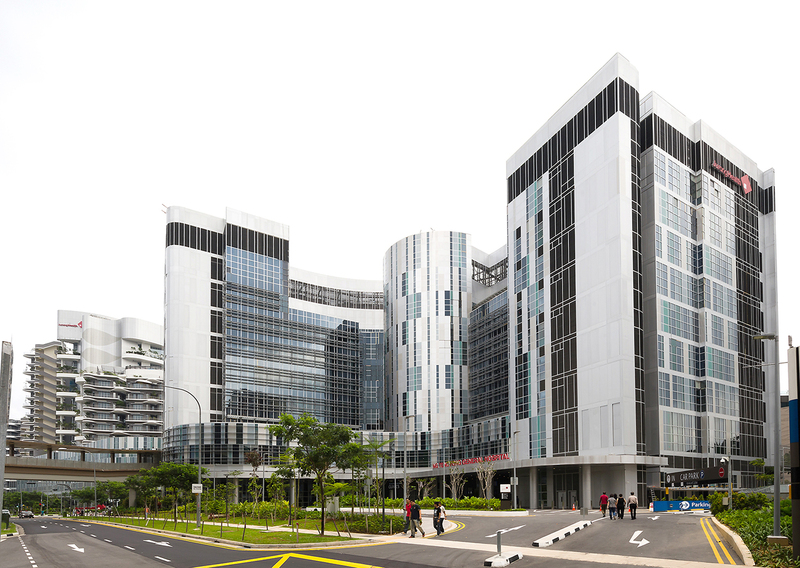 The NTFGH will be the first regional hospital in Singapore to be built together with a community hospital from ground up to bring about seamless integration for right-sizing of care. Managing the two hospitals almost as one will ensure a coordinated approach to aligning vision, objectives, manpower, patient records, shared facilities and patient care plans. These efforts will translate into more cost-effective and affordable quality healthcare. 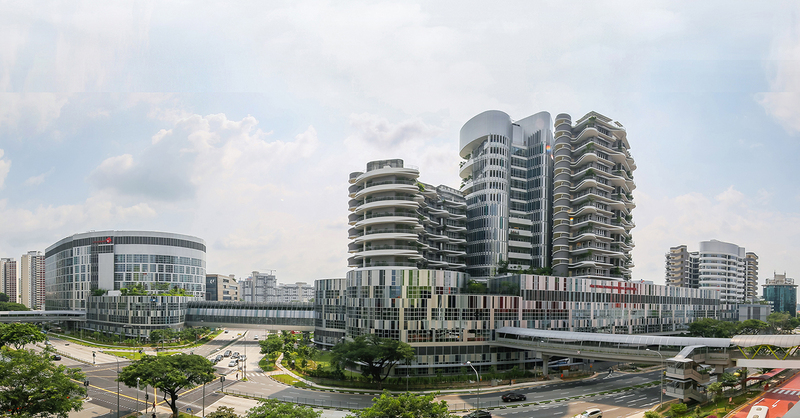 Providing patient-centered amenities and sustainable design were the focus during planning for the healthcare hub, which includes the eight-story NTFGH Clinic Tower, the 12-story NTFGH Ward Tower and the Jurong Community Hospital. The sustainable strategies create a facility that functions like a vertical healing garden. The design team was challenged to provide a window for every patient. 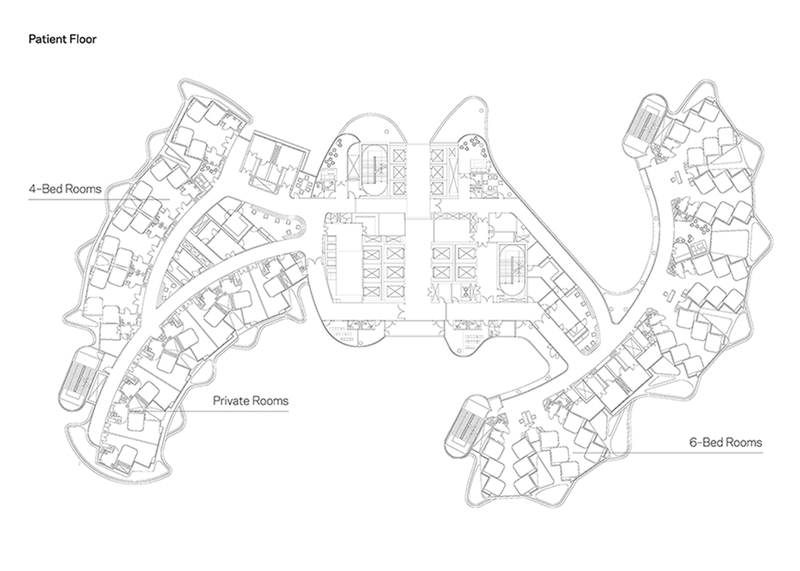 Innovative fan-shaped floor plans made this possible in the NTFGH Ward Tower. 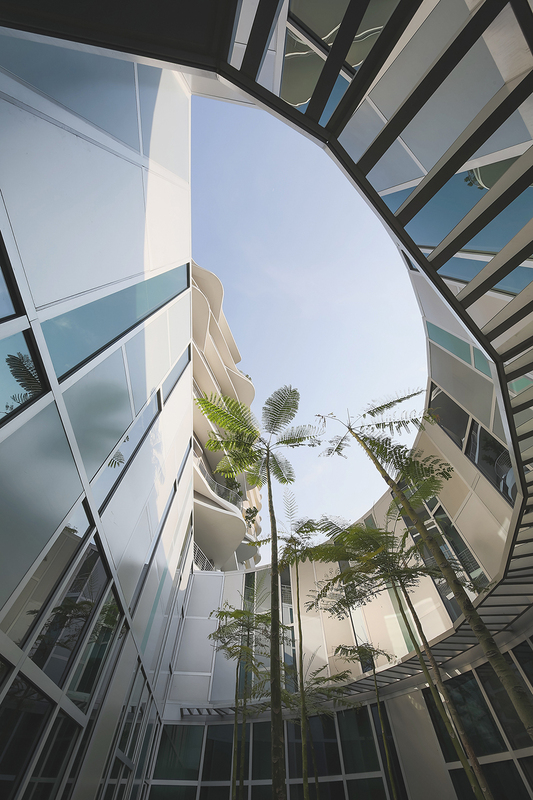 The individual windows and views of sky gardens, located on every floor, promote healing environments for patients and visitors while maximizing natural daylight and improving ventilation without the use of air conditioning. Oriented to reduce solar gain and capture prevailing breezes, the unique floor arrangement allows for double the amount of natural ventilation. The project also includes solar thermal hot water heating and a large photovoltaic array. 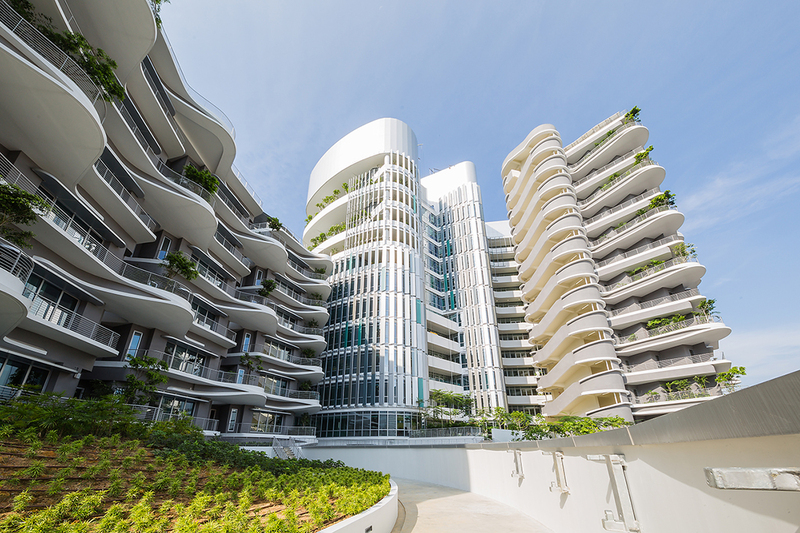 The project has also been rated Platinum under Singapore’s Green Mark program. The resulting patient room layout of staggered beds and garden clusters accessible to all is unique in global healthcare design. The healing power of sunlight, fresh air, and plantlife has never been so uniquely used.